With this, my NIN vinyl album collection is now complete. I don't have a comprehensive NIN vinyl collection by any account: I don't have all the singles nor the remix albums, rarities, etc., but I do have all the albums. 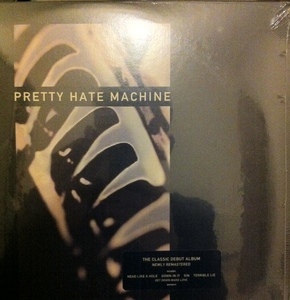 This is the newly-remastered version of "Pretty Hate Machine", which sites proudly next to an original. I'm still waiting for the much-anticipated remaster of The Fragile, which turned 12 last month. It appears to have been sidelined by movie soundtrack work.